Many people get into running for a simple reason: They want to lose weight, and what a great way to slim down. For most people, especially if you are a few pounds overweight, running is a great way to shed some pounds. But before you take on too much running, you need to remember some important constraints that you'll face as a new runner. First, the ligaments, tendons and bones will adapt more slowly to running than your cardiovascular system. By running just three or four days a week for three weeks, you can get to the point where your 2-mile or 3-mile runs start to feel easier. You may want to run faster. Resist that urge. It takes weeks for your "structural body" to catch up to your "metabolic body." Said another way, you can build your engine—your heart and lungs—faster than your can build your chassis­—your bones, tendons and ligaments. Second, you should take a long-term approach to running. Commit to running regularly—say every other day—for the next three months, not just the next three weeks. Running will give you a great deal back in many ways. You'll see improvements in elements as diverse as self-esteem and attitude to practical benefits like more energy during your workday. But this is only true for the person who fully becomes a runner, not someone who runs once a week. 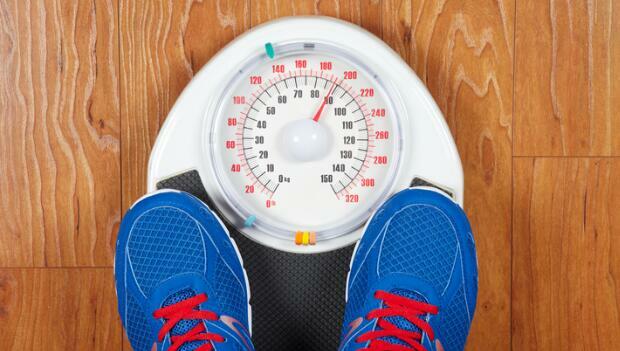 Back to the main question: What if you want to start running to lose weight? You should be able to shed some pounds easily if you follow a regimented program, ideally starting with a run/walk program (where you run for a given amount of time, then walk, then run again). I really like run/walk programs for people trying to lose weight because it keeps you moving for a longer period of time. You may work out for 30 to 40 minutes or even an hour with a run/walk program, whereas with a run-only program, you might not be able to go a full 20 minutes. If your goal with running is weight loss, then you are—at least in the beginning—better served with longer workouts at lower intensities. The next thing to consider after you have some run/walk work under your belt (say eight weeks) is to move to some general strength and mobility work in addition to your run/walk program. This could be simple exercises like push-ups and body squats. Also, plank/pedestal exercises are great to improve your core strength. Coach Jay Johnson works with runners of all ages and abilities. A former collegiate coach at the University of Colorado, he's coached U.S. national champions, adult and high school runners, and is the coach for Athletics Boulder, an adult running club. Sign up for individualized training from Jay at RunnersConnect.net. Check out his Running DVDs, read his blog at coachjayjohnson.com, follow him on Twitter @coachjayjohnson, or message him on Facebook.